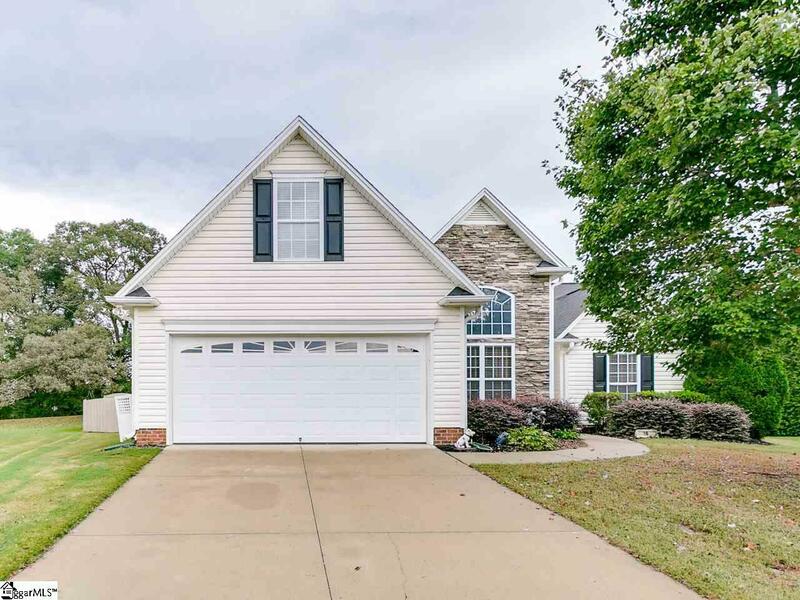 Located in the sought after Five Forks area, this well maintained 3 bedroom 2 bath home is situated in a quiet cul-de-sac and is move-in ready! The open floor plan home has soaring vaulted ceilings with a split bedroom plan. The gourmet kitchen has granite counter tops, beautiful tiled back splash and plenty of counter and cabinet space for the chef in your family. 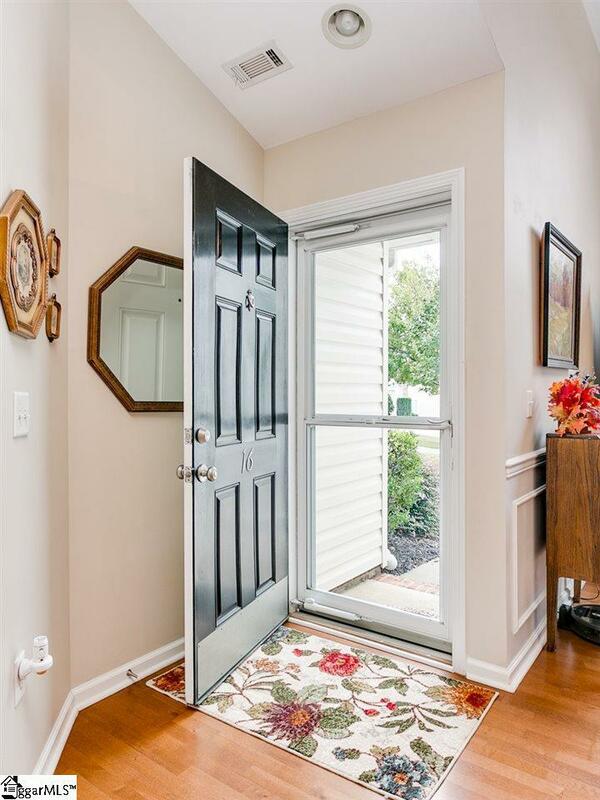 A large pantry and laundry room are conveniently located in the kitchen/breakfast room area. Both secondary bedrooms have great closet space and share a full bath in the hallway. The generously sized master suite has vaulted ceilings and large windows that provide ample natural light. The master bath has a large soaking tub with separate shower and a double vanity! 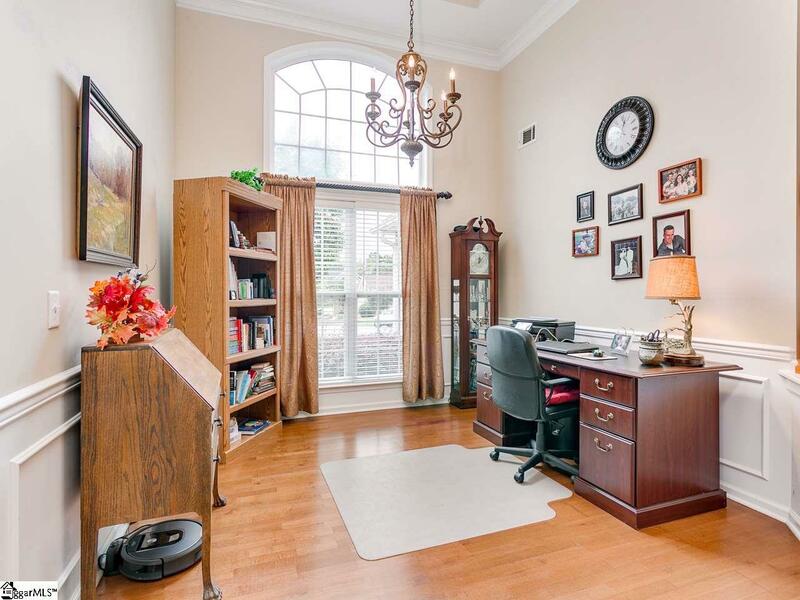 The bonus room upstairs has a closet and could be used as a 4th bedroom or office/home gym. Outdoor living is top notch with a large screened in porch and paver patio complete with built in benches and a fire pit! The fenced in backyard with mature landscaping completes this beautiful home! Resort style amenities, playground, walking trails and easy access to shopping, dining, award-winning schools and minutes from the interstates and GSP, this home won't be on the market long!